Looking for a quick high-protein, savory-sweet dinner? Are you also trying to eat a more plant-based diet? This recipe is so easy and delicious, you’ll want to add it to your weekly meal rotation. This recipe is made with tempeh, which is whole fermented soybeans. It’s less processed than tofu, which is made from soymilk, and also has a firmer, chewier consistency. 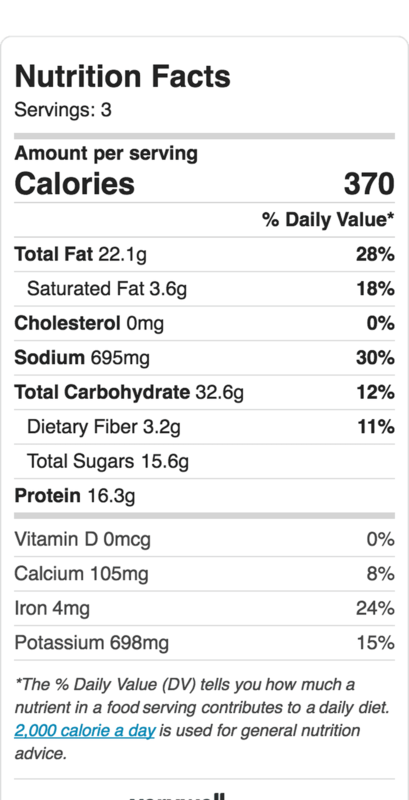 Not a fan of the stronger, slightly bitter, nuttier flavor of tempeh? Then you’ll adore this maple, tamari, ginger, and cumin marinade. It’s simple, bold, and perfect for warming up on a chilly day. All you need is one pan and 15 minutes to prep. Just mix everything together, and in half an hour, a satisfying, hearty dinner will be ready for tonight or to add to containers for a few of the week’s lunches. This 370-calorie recipe is perfect on its own, but can also be served over regular rice, cauliflower rice, quinoa, or in a wrap. Another great thing about this recipe is that you can prep it on Sunday to use later in the week. 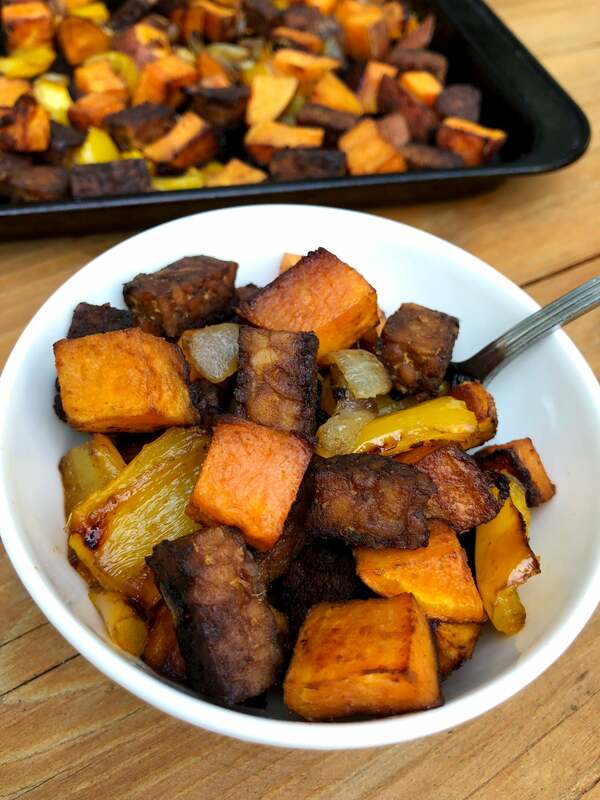 Marinate the tempeh in one container and keep the cut-up veggies in another. When you’re ready to make dinner, throw everything on a pan, mix together with two tablespoons olive oil, roast for 30 minutes and yum! 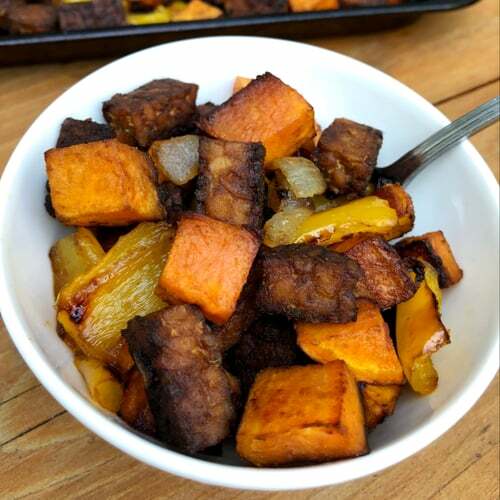 Cut the tempeh into small cubes and place in a medium bowl. In a small dish, mix together the tamari, one tablespoon of olive oil, maple syrup, ground ginger, and cumin. Drizzle over the tempeh, mixing together to coat every piece, then set aside. 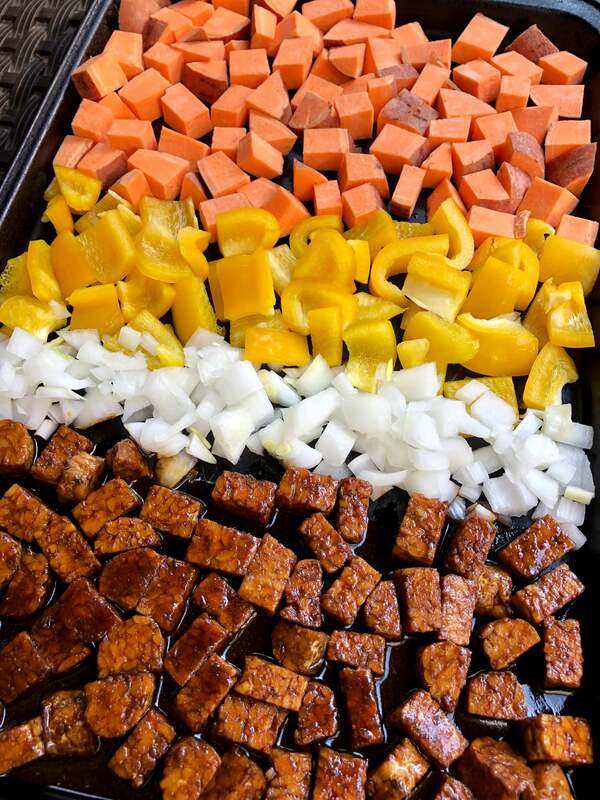 While the tempeh is marinating, dice the sweet potato, pepper, and onion. Place the veggies on a cookie sheet. Drizzle with the remaining two tablespoons of olive oil, salt and pepper. Add the tempeh and mix everything well. 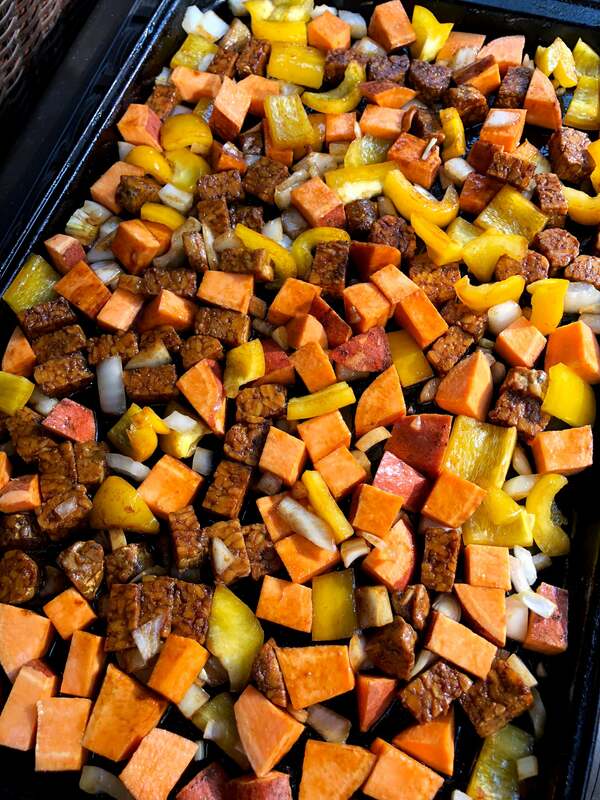 Roast for 20 minutes, stir, and roast for another 10 minutes or until the sweet potatoes are tender.